In this morning's Advertiser, Senator Wong declared that she '.......plans to have the ailing Murray-Darling system nursed back to health within 10 years......'. Maybe she will, maybe she will not. Maybe the next Government, if the current mob gets the boot! It does make me THINK about the experts Premier Rann has been herding in to South Australia during the past 6 years. Thinkers-In-Residence. Having honourably served my time in the Public Service, I did marvel at how others beamed when the word OVERSEAS was uttered. That magical kingdom, beyond our shores, concealing experts with all the answers. However, a quick Google of the phrase 'visting australian expert' will equally suggest that we too, here in the land of water-for-some BUT not-for-others, are held in high regard by the rest of the world. Though, one visiting Australian expert, in New Zealand, stated that '.....poker machines are unsafe products.....'. For a moment I drifted to the land of the head scratch. To my point. Return On Investment (ROI). A term foreign to many Servants of the Public. On carefully reviewing some of the Thinkers-in-Residence reports, I wonder what return the taxpayer got measured against the cost. In a way, these Reports uncomfortably remind me of the Travel Reports this state's elected members submit on their return from OVERSEAS. I have discussed some in my Blog already. The Honourable Jennifer Rankine on returning from Europe: "Children don't learn from people they don't like"
In the beginning, Senator Wong, before she became Senator, impressed me by the megalitre with her strong and decisive rhetoric. Unfortunately, my opinion has changed, since intently observing her fielding questions from a Committee this year. 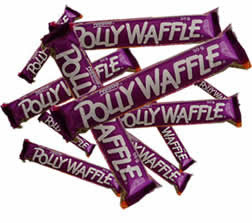 The Polie Waffle, and she has it down pat. It is as though newly elected members are put through some waffle boot camp on arrival in Canberra. It would be so refreshing to hear YES, or NO, or I REALLY DON'T KNOW, but I will get back to you on that one!